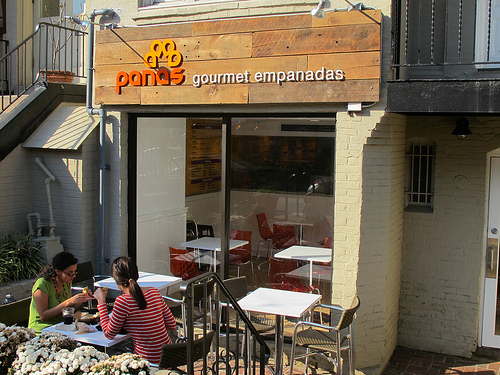 In my continuing series of giving props to new stores that get sweet signs – we must add Panas Empanadas, located at 2029 P St, NW, to the list. Nicely done! 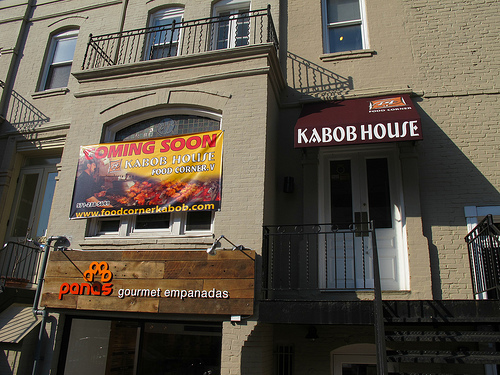 Note that above them, while they got a new awning, House of Kabob, has still not opened up. Hopefully that’ll happen soon.